With the vast options available on offer to becoming a teacher, it can be confusing to know what’s the right training course you should take. 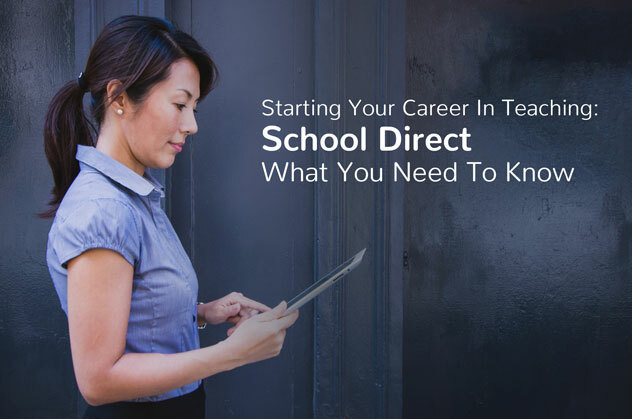 In the second of our ‘Start Your Career In Teaching’ guides, we take a look at School Direct and break down what the course entails. Like the other teacher training programmes there are some academic requirements that you’ll have to meet. You will have to have GCSEs (or equivalent) grade C or above in English and Maths. If your aim is to teach primary you will need grade C in Science. You will also need to pass a skills test in numeracy and literacy. Another recommendation is that you gain as much school experience as you can. Contact your local schools and ask if you could volunteer. This will develop an understanding of day-to-day school life as well as build up your network and to see if teaching is the right career choice for you. One of the downsides to School Direct compared to a PGCE university course is that it won’t give students the experience of working in a wide variety of schools and not all courses will offer PGCE status, which is required to teach in some countries abroad. Only some do, so be sure to check with the training provider. Aimed at high quality graduates who want to be part of a school team from day one. Funding: Fees are up to £9,000 with student loans and grants available. Top degree graduates may be eligible to a £25,000 bursary or scholarship. For graduates with three years’ work experience where the amount you earn may be dependent on the school you train in and the subject you’re teaching. Duration: Both Salaried and Non-Salaried are One year. Are you on the School Direct path? What is your experience of School Direct? Would you recommend training via School Direct?